The Plumptre Hospital in Plumptre Square was founded by John de Plumptre, a wool merchant and sometime Mayor of Nottingham, in 1392 during the reign of Richard II. The hospital was more of an almshouse than a hospital and dedicated to the Blessed Virgin Mary. 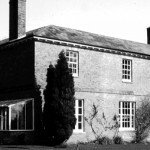 It was endowed to support a Master and a priest and “thirteen poor women broken down of age and depressed of poverty” and was endowed with 13 properties around the town of Nottingham. The priest was instructed to pray for John, his wife Emma, the king, the people of Nottingham, and all the Christian dead — especially those who gave to the hospital. The system of poor relief in post-Reformation England had its origins early in the reign of Elizabeth I when consolidating Acts of Parliament of 1597 and 1601 established the civil parish as the administrators of the Poor Law. Every Parish Vestry was ordered to hold annual elections, usually at Easter, to elect an overseer of the poor who was empowered to raise revenue from local rates, or ‘assessments’ and was answerable to the Parish Vestry, and the local Justices of the Peace. Overseers usually served for a year without payment and Vestry members were expected fill the position in rotation and could be fined for refusing to serve. Nonington’s Vestry initially met in the church vestry but later met for many years in The White Horse alehouse next to the church and the local J.P’s sat every week at Wingham alternating sittings between “The Dog Inn” and “The Red Lion”. The Parish Vestry was the lowest echelon of government and was responsible for such things as setting and raising parish taxes and maintaining the roads within a parish. It was an unelected body made up of parish rate payers and usually controlled by the main local land-owners and dignitaries who paid the most taxes. Landowners, householders and tenant occupiers liable to pay rates had their property assessed for a rentable value on which the rate was charged by the overseer. 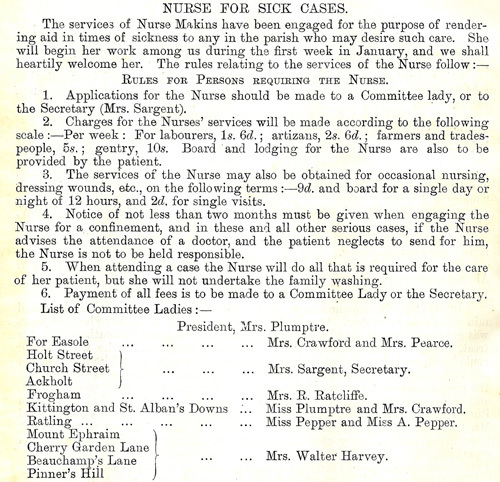 Householders or occupiers with rateable values below a certain level or who were in receipt of assistance from the parish were exempt from the rate. 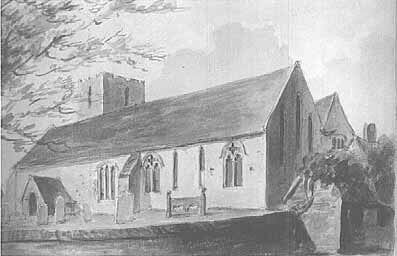 Poor Law rates were usually assessed at between 2/- (two shillings or 10 pence) and 3/- (three shillings or 15 pence) in the pound with Parish Rates for the upkeep and administration of the parish and rates for repairs to the church building being charged at a similar level. In the late 18th and early 19th century W. Hammond of St. Albans Court was the largest single rate payer. From the Nonington parish magazine of December, 1898. From the Nonington parish magazine of March, 1898. 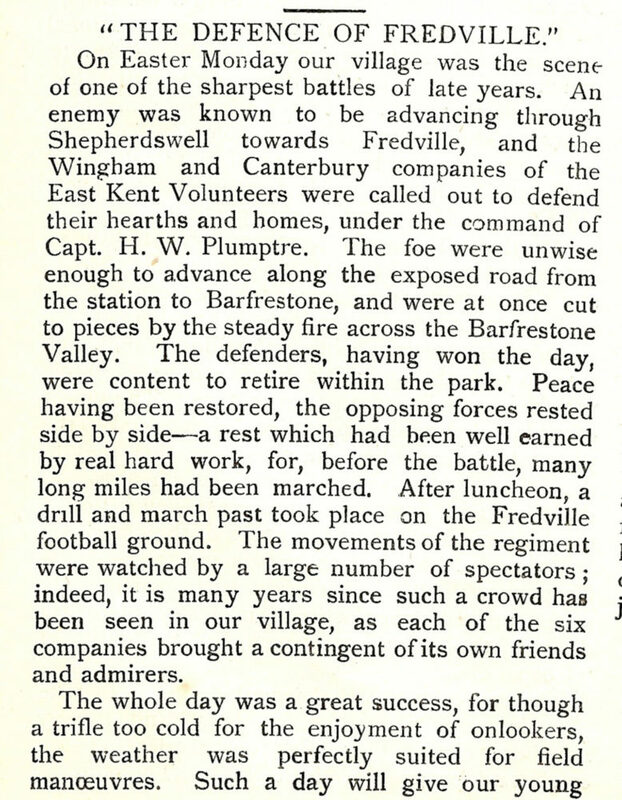 The following item concerning the East Kent Volunteers comes from the Nonington parish magazine for May, 1895. Notes made by Dr. Hardman concerning the discovery of a denehole at Church Lane, Nonington, in May of 1939. Discovered in the last week of May 1939 in the grounds of Mr. F. G. Garlinge of Church Lane (now Vicarage Lane), Nonington. Mr. Garlinge has recently built a bungalow on the right hand side of the road leading from The Royal Oak Inn to the church (now The Haven). He is a haulier and near the bungalow is a range of open sheds for housing his motor lorries. In one of these sheds and inspection pit was made. A domed cover of brickwork was met with at a depth of about 18 inches below the surface and when this was broken open a vertical shaft about 2’ 6” (2 feet 6 inches) in diameter was disclosed. A rope was attached to an adjacent post and a ladder let down into the shaft and in this way a precarious descent was made possible. The origin of the name Oesewalum has been the subject of discussion for many years, some scholars believe the name is derived from oisc; a deity or semi-deity, and walum; a bank or ridge, giving a literal meaning of the ridge or bank of the god(s). The connection to a semi deity may possibly derive from an association with descendants of Hengist, the founder of the Jutish Kingdom of Kent. Tradition holds that Hengist and his brother, Horsa, led the Jutes who came to Kent from what is now Northern Germany and Denmark at the invitation of King Vortigern of the Britons to serve as mercenaries against Picts. Hengist and Horsa, whose names meant “stallion” and “horse” respectively, had a white horse standard which became the standard of the Kingdom of Kent and is now the standard of the present County of Kent.The brothers were said to be the sons of Victgilsus, whose father was Vectaand, a son of Woden or Wodin, a widely venerated pre-Christian Germanic god. The old parish of Nonington was approximately three miles across in each direction with St. Mary’s Church in its approximate centre with the hamlet of Nonington proper around it. Towards the end of the eight century the Manor of Oesewalum, held by abbesses of Southminster (also Suthmynstre) and Lyminge Abbeys, formed the central area of the old parish of Nonington. Southminster is now believed to be a “lost” abbey in or near Eastry, which lies some four miles or so from NoningtonChurch and was the “capital” of a small Jutish and early Saxon kingdom, which was subsidiary to Minster Abbey on the Isle of Thanet. This ecclesiastical ownership is the most likely origin of Nonington, deriving from Nunningitun, the nuns farm or manor, from the Old English (OE) “nunne” or “nonne” (which in turn derived from the Latin “nunnas”, nun or nuns); “ing”, pertaining or belonging to; and “tun”, which could be anything from an enclosure to a farm, or even a manor.